The Winter 2016 edition of the JASC Journal is now available! Please view the journal by clicking here. This edition includes updates on the 68th JASC (EC introductions & site descriptions), greetings from new ISC staff, a report on the University of Maryland JASC Archives, JASCer notes, volunteer opportunities, and more! A special thanks to Teresa Anselmo, 68th AEC, for her dedicated contributions to this edition. 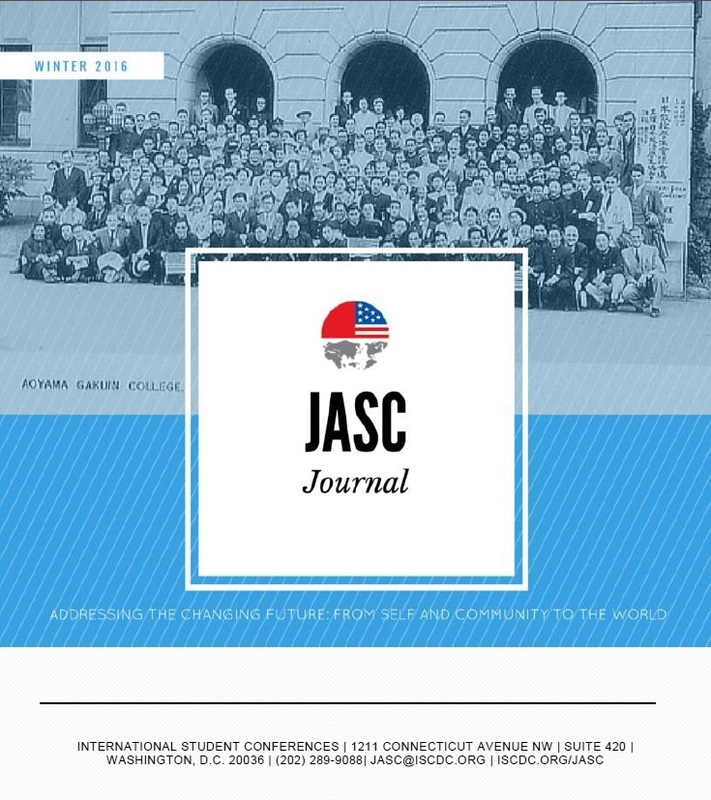 Please enjoy the Winter 2016 edition of the JASC Journal, and keep in touch! This entry was posted in JASC by ISC Admin. Bookmark the permalink.